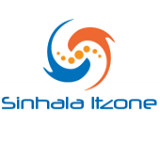 මුලින්ම මේ Link එකෙන් ගිහින් Site එකේ Register වෙන්න ඔනේ ඉටපස්සේ Earn කියන Button එක Click කරලා ඇඩ් එකක් හදාගන්න ඔනේ. 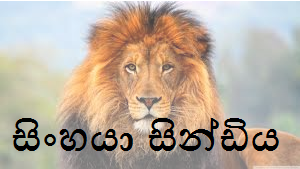 Filter Content: මෙතනින් ඔයාගේ Site එකේ Topic එකට ගැලපෙන Ads තොරලා දෙන්න පුලුවන්. දැන් withdraw Method එක User Account විදියට තියලා Captcha එකත් Verify කරලා හදාගත්ත Ad Code එක ඔයාගේ web/Blog එකට දාගන්න. ඔයාගේ Earnings 0.001 උනු ගමන් Payout කරන්න පුලුවන්. එකට Bitcoin wallet එකක් තියෙන්න ඔනි.Wallet එකක් නැත්තම් මෙතනින් එකක් හදාගන්න පුලුවන්. ඉටපස්සේ Withdrawel Settings වලට Wallet Address එක දෙන්න.මේ ගැන ගැටලු තියෙනවා නම් පහලින් Comment එකක් දාන්න Post එක share කරන්නත් අමතක කරන්න එපා.